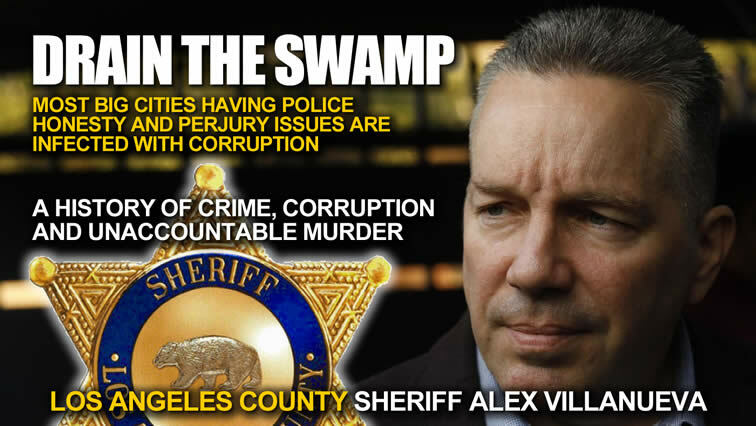 If the American people only knew half the corruption and waste going on in Los Angeles County Sheriff department. They would understand how psychopaths and sociopaths hide behind shinny stars and fancy uniforms. How the top Cop Sheriff Lee Baca was facing prison time and like a coward claimed old age and alzheimer’s meant he was not guilty. Over paid, generous benefit means nothing to this gang of thieves who will stop at nothing to get away with their crimes, abuse and murder. The list of murders goes on and on, staggering numbers, yet not one officer is ever held accountable. In the end the tax payer you and me are forced to pay VACATION PAY (administrative leave) and benefits to the killer cops, millions in legal settlements, huge legal costs all for something we’re not responsible for. They hire them, won’t fire them and then hand you the bill.